#JaneElizabethGiraud (1810-1868) is a name that few will know but she deserves to be well-known. She was a well respected artist and lithographer in her day. Even to the the point of being appointed lithographer to the queen. This meant she was an artist of sublime and supreme skill. The Flowers of Shakespeare along with The Flowers of Milton are her two best known publications. In #TheFlowersofShakespeare each elegant botanical print is combined with a Shakespearean quote. In this case a quote from The Winter’s Tale – Act IV scene III. Portrayed in stylish lettering and enhanced with a single capital letter resembling earlier illuminated manuscripts. Each iteration of a flower comes with it’s coloured letters to emphasize. So here are daffodils, violets, primroses, oxlips, crown-imperial and flower-de-luce. Art and literature in unison. Rose red (Lancaster) and rose white (York) entwined in image and history. From King Henry VI – Act II scene IV – the quote foretells the deaths of many in the coming civil war. 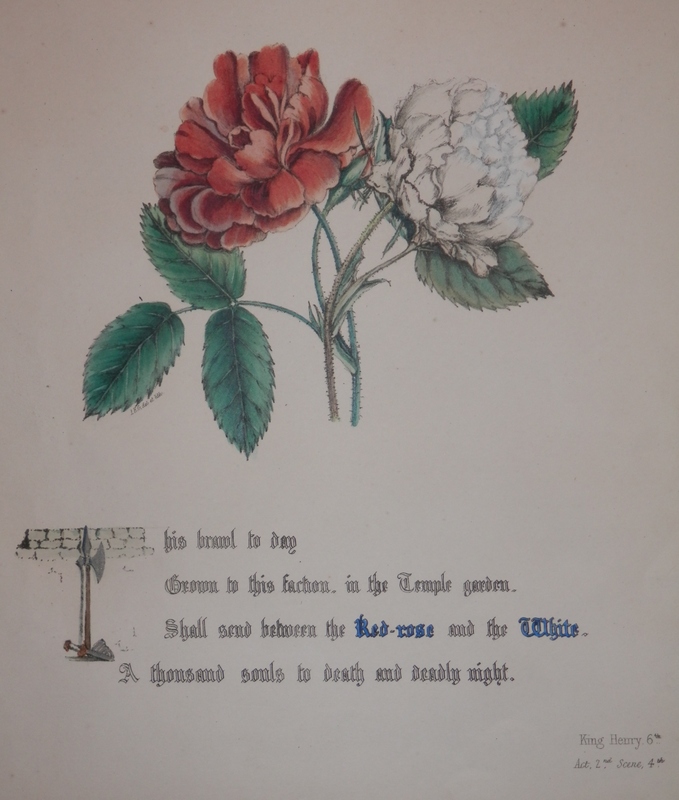 The plates were hand-coloured and published by Day and Haghe, Lithographers to the Queen. With works such as these, it is no wonder Britain was the place to be for lithography. 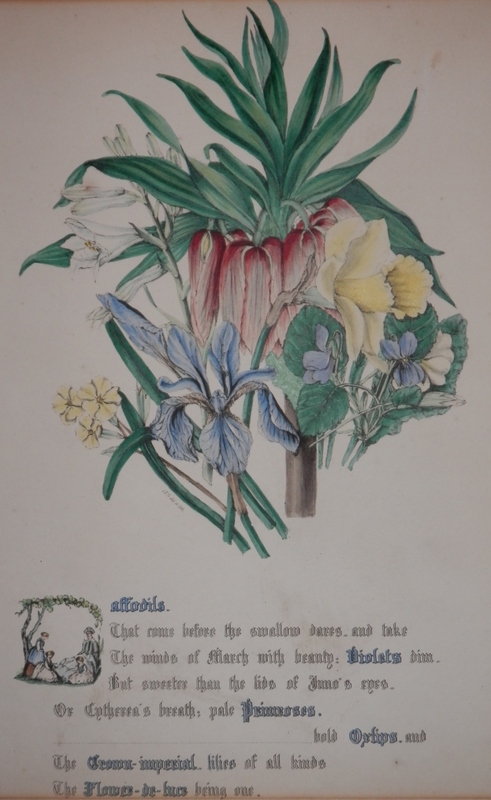 This entry was posted in Lithographs and tagged crown-imperial, daffodils, Day and Haghe, Jane Elizabeth Giraud, Lancaster, oxlips, primroses, rose, Shakespeare, Tudor, violets, York. Bookmark the permalink.